Though it is large and bulky, the fact that it is designed by Giorgio Armani himself gives this handset a chic air of exclusivity. The 3.5-inch AMOLED resistive display is clear, but not always finger-friendly. The slide-out keypad is designed for comfortable prolonged use, and the display lifts to face you, for easier viewing. It was annoying to find that it uses the Windows Mobile OS, even if it is upgraded to version 6.5. However Samsung’s TouchWiz UI, with drag-and-drop widgets and multiple desktops, leaves minimal evidence that this is a Windows Mobile handset. The 800 MHz processor and dedicated graphics accelerator make for a good looking but sluggish (even with no background-running apps) UI. Audio quality was superb, and FM radio reception quite good. The video player supports popular formats like DivX, XviD, MP4, 3gp, and H.264, and features TV-out. For connectivity, there’s WiFi, 3G, EDGE/GPRS, Bluetooth and USB 2.0, with Opera Mobile and IE Mobile browsers preloaded, and POP and IMAP e-mail support. Samsung’s Communities app lets you connect to Picasa and Flickr, but there are no apps for Facebook, Twitter or Orkut. The 5-megapixel camera features face- and smile-detection, image stabilisation, and video recording (at 640x480). Image quality was good in most conditions. On a single charge, it’ll give you about five hours of talk time, two days of usage. The price tag is hefty, despite its media prowess and functionality. Then again, it’s not designed for average everyday use, but for those who see their phones as status symbols. RIM has made a few changes to the overall design to the Storm2 over its predecessor. Separated buttons have given way to touch-sensitive keys. The SurePress panel in the touchscreen has been replaced with a standard, fixed capacitive touchscreen. 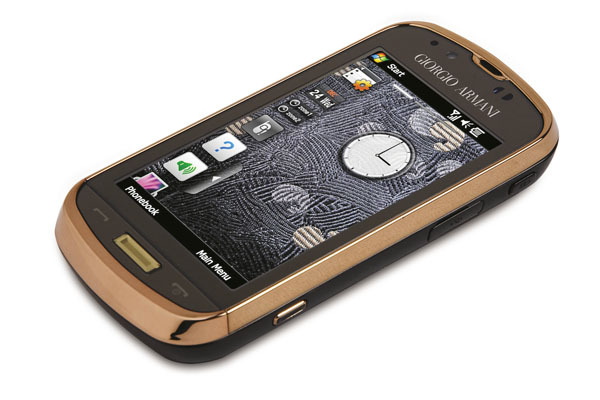 It is 5 gms heavier, thanks to the addition of a Wi-Fi antenna and 1 GB (total 2 GB) of internal memory. 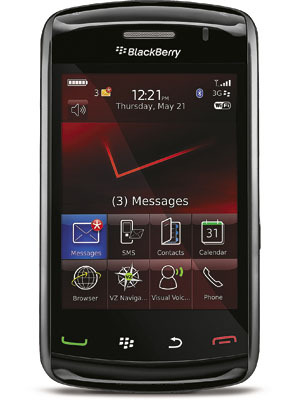 Based on the BlackBerry OS version 5, it retains the 528 MHz processor, a bad idea. However, Flash memory has been doubled to 256 MB, and there’s a visible difference in speed. Audio quality is still good, and its video player supports popular video formats. Setting up e-mail is easy, but the Web browsers still lack Flash support. Instant messaging and social networking services are provided, with tonnes more downloadable from BlackBerry’s AppWorld. Documents to Go allows you to open MS document files, but you won’t be able to edit them. The camera delivers good image quality, records 480x352 video, and supports Geotagging (but Blackberry Maps still isn’t supported in India). The battery delivers up to a day-and-a-half of usage, and talk time averaged at a decent 4 hours. At Rs. 31,990, the Storm 2 is a bit steeply priced, but it now comes with Wi-Fi and added memory. It has its issues, but the Storm 2 is still a good handset; its only competition being the Bold 9700 if touchscreens aren’t your thing.